The lower boundary of this claim begins just upstream from where Nordheimer Creek meets the Salmon River. The upper boundary is located on a tree 1.7 miles further upriver. You can gain access to the lower end by driving all the way down the USFS access road at Nordheimer. 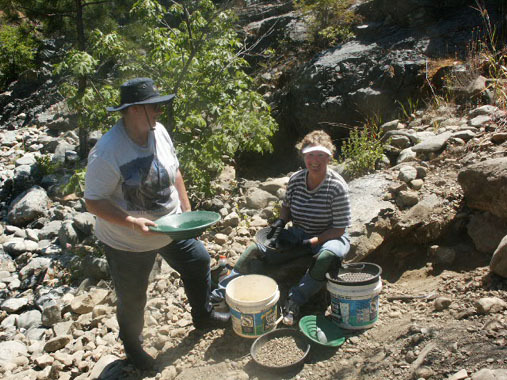 There is a fantastic area for panning and vac-mining about a half mile up river from Nordheimer Creek. 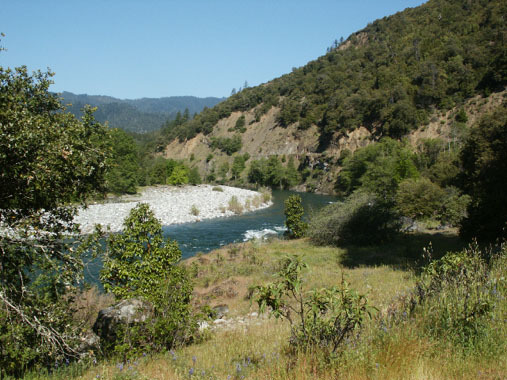 The location is just upriver from where the Salmon River road crosses the Salmon River. 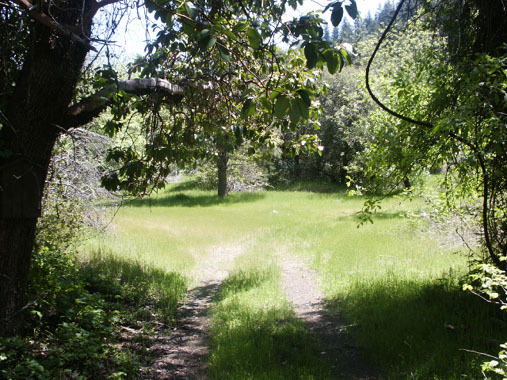 There is a fairly large parking area along the side of the road there, and trails that lead down to the area. There is a road access located 1 mile upriver from Nordheimer Creek. The road will get you closer to the river, but we suggest you walk in first, to make certain you are able to drive your rig out afterwards. 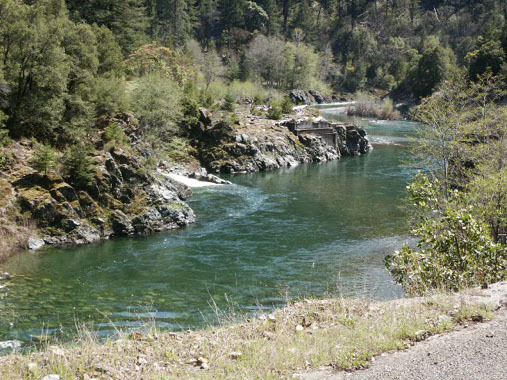 There is a second access road located 1.2 miles upriver from Nordheimer Creek which will take you down to Quail Flat. 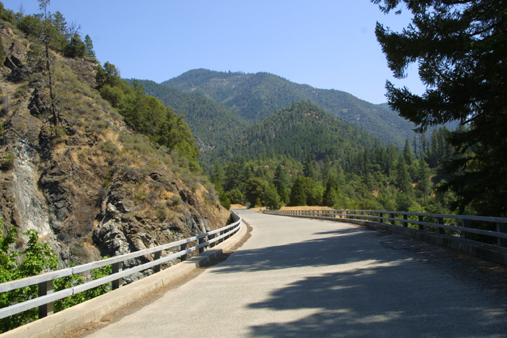 This access road requires you to first drive upriver and find a place to turn around, because of the direction of the access road as it meets the Salmon River Road. 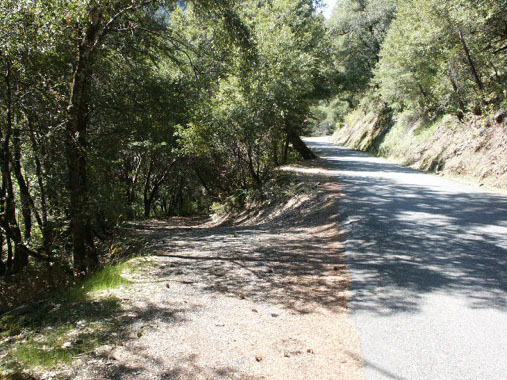 We strongly advise you to first walk down this access road before deciding to pull an RV or other trailer down onto Quail Flat. 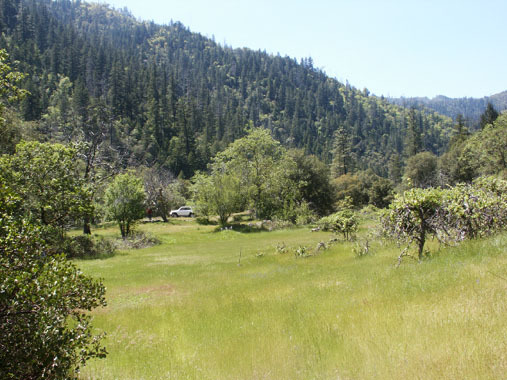 This second access point goes down to Quail Flat, where there is a flat area for some camping. 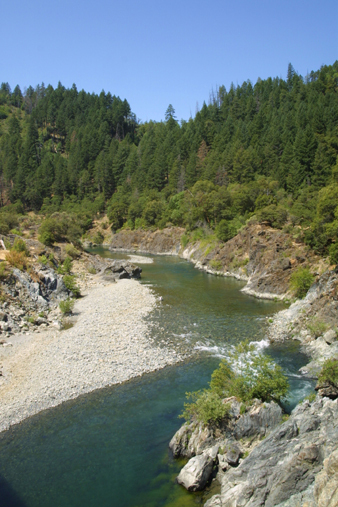 Important Note: There is a long pool-area located where Crapo Creek enters the river from the far side, a little less than half-mile upstream from Nordheimer Creek. 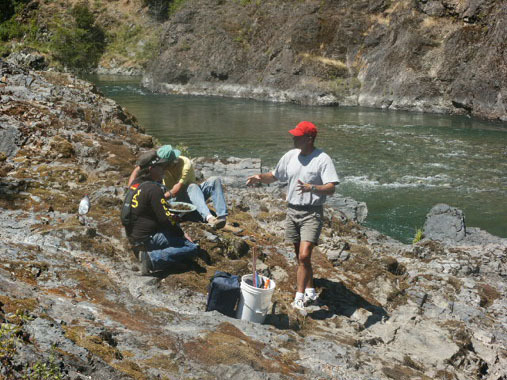 This is an established cool-water (from Crapo Creek) holding area for spring-run Chinook Salmon. 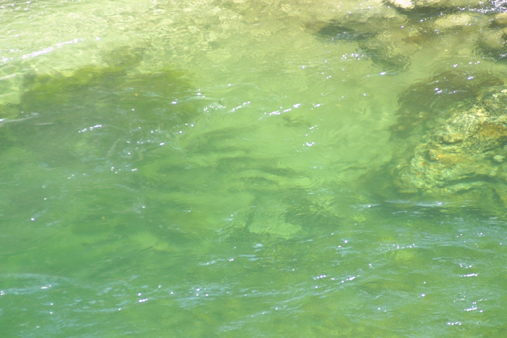 At certain times during the summer months, there can be dozens or hundreds of salmon holding in this long pool-area. Therefore, we are designating the entire pool-area as off limits to any mining activity – especially dredging. No dredging within 500 feet of Crapo Creek. 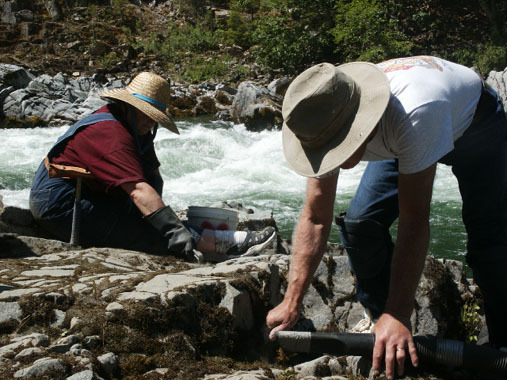 The Club has sponsored group surface prospecting projects down onto into the area about a half-mile upstream from Nordheimer Creek (just upriver from the bridge that crosses the river). The moss there pays very well, especially in the bedrock cracks that are in great abundance all the way up and around a very large bend in the river there. Two of our members reported recovering 2 dwts per day of fines and flakes, just shoveling into a sluice box in the same area. They brought the gold into the office, and other members said they saw them recover the gold. 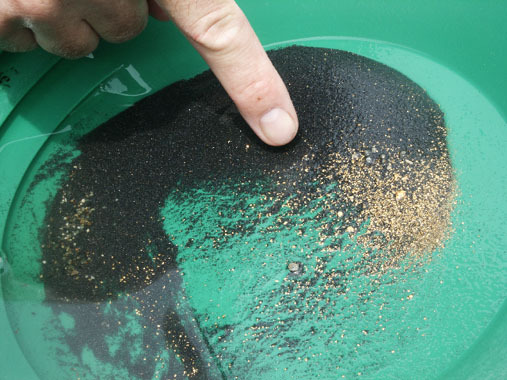 The gold came from the surface of the gravels to the bedrock, with the largest flakes coming off the bottom. 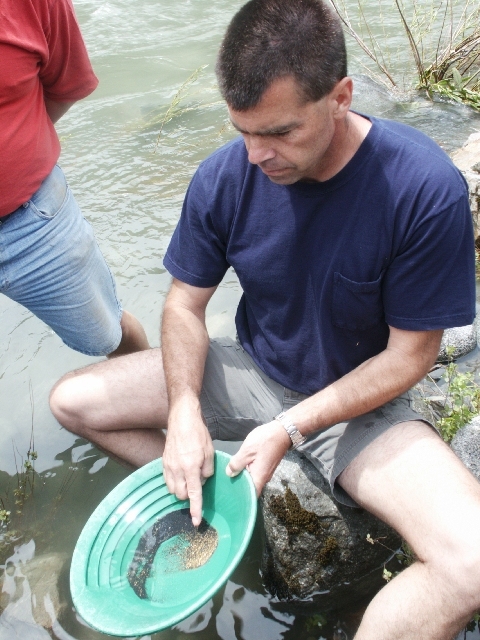 We have also had some good luck in the group projects finding high-grade gold in the river gravels along the banks of the river. Some members have also had good luck both dredging and surface mining near Quail Flat.